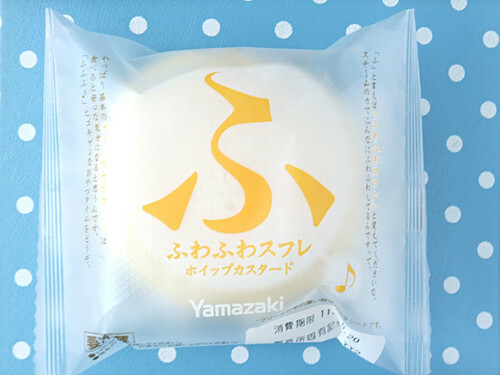 I felt funny when I found “ふ” (“fu” only 1 hiragana letter) on fluffy cake’s pack in convenience store at the first time. And it’s quite interesting because we can imagine “fuwa fuwa” or “fuka fuka” both means like fluffly – from only one letter! 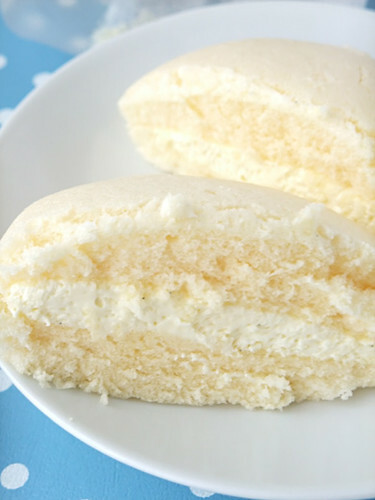 Of course it’s fluffy and good. 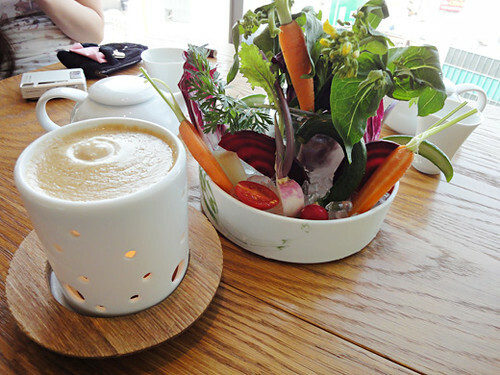 My friends and I went to have a lot of fresh vegetables at Yasaika Mei for lunch in Kashiwa. The restaurant was flooded with a lot of sunlight because of the large windows. The lovely sunlight made us feel comfortable. 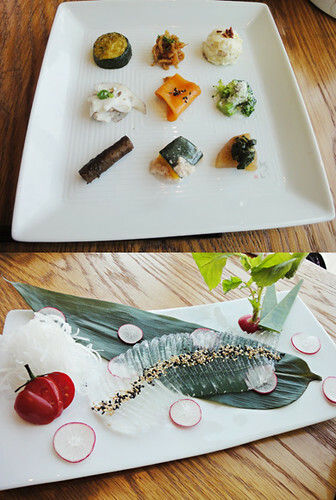 We had a special lunch course. 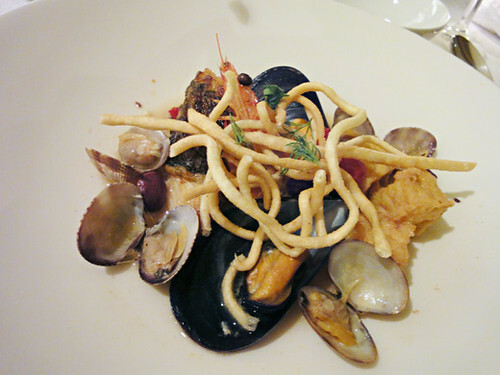 It was started with Bagna cauda. 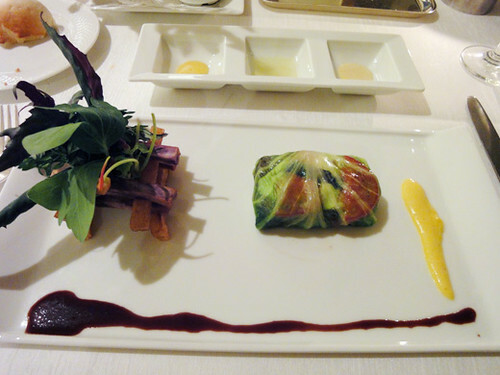 The beautiful vegetables were garden-fresh of the locals. Yasaika Mei buys fresh vegetables from the local contract farmers. 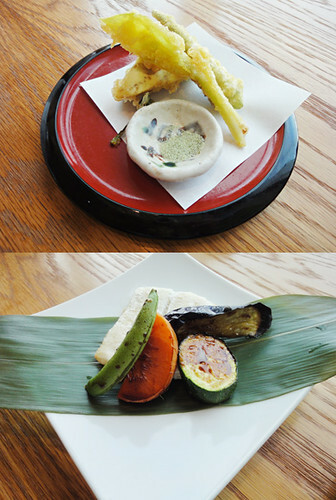 And, we had small portions of the appetizer that were the 9 kinds of vegetables. 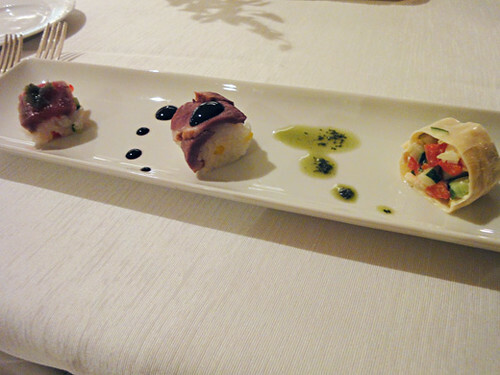 They were beautifully placed in a square serving dish. 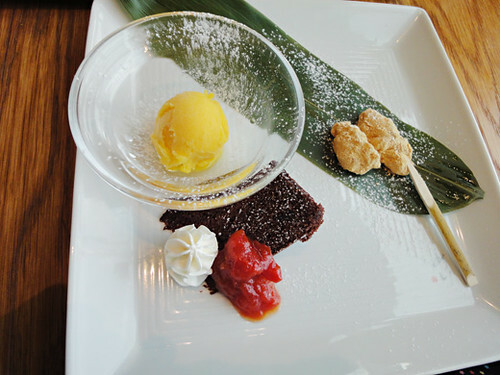 cooked rice with salmon roe, whitebait and field mustard and some desserts that were mango sorbet, abekawa-mochi and brownie with fresh cream and tomato compote. 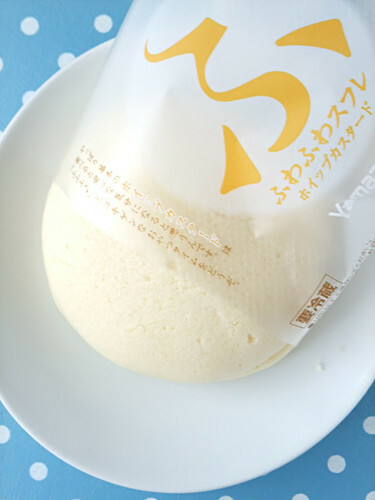 Everything was perfectly good taste, and it made us healthy body too. 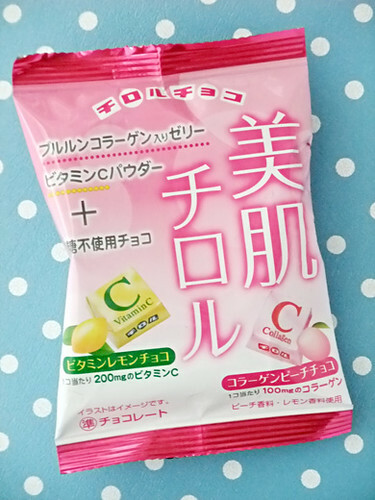 Lemon & peach flavored non-sugar tirol chocolate in the pack. 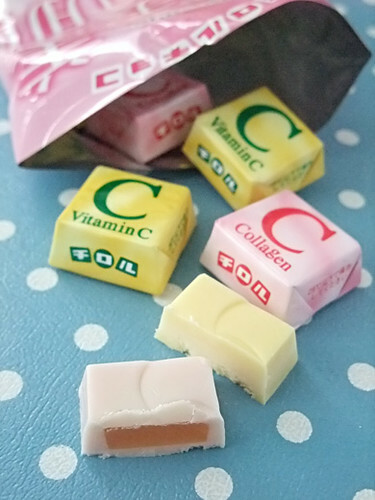 Lemon contains vitamin C (200mg), and peach contains collagen (100mg). 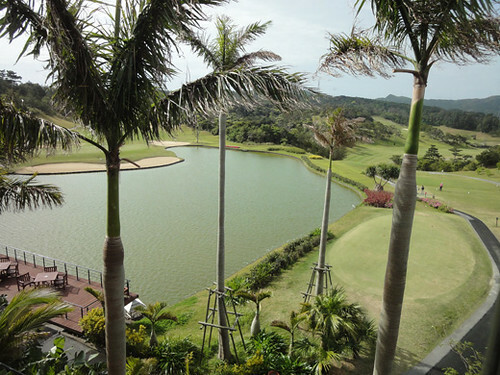 We had breakfast at the Club House Restaurant of “The Atta Terrace Golf Resort” where was next to the golf links. This was the last food at the hotel before we checked out. 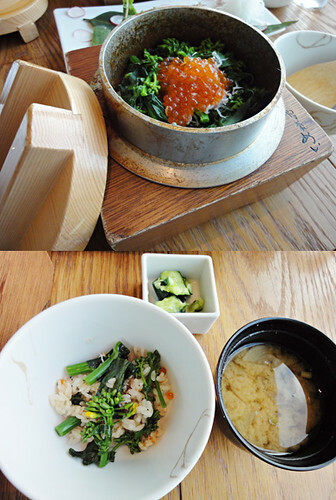 We had breakfast of Japanese style. There were a lot of small dishes on the tray. 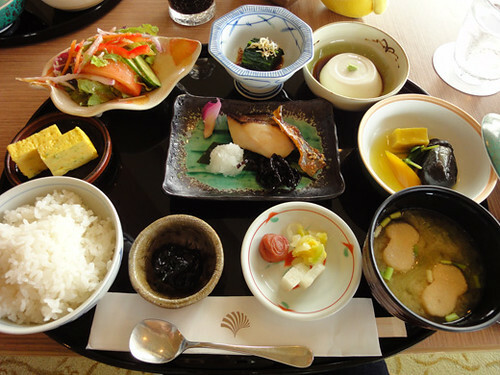 They were salad, Japanese pickles, Japanese omelette, boild spinach, tofu, fish, seaweed, rice and miso soup. 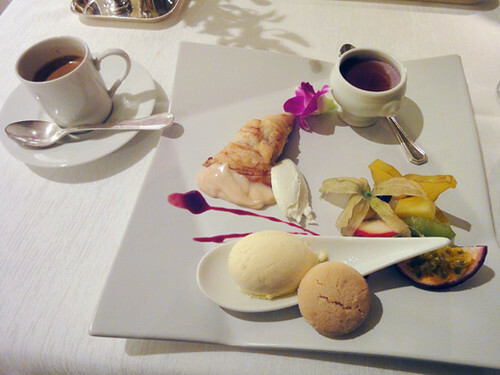 At the end, we finished some fruits and coffee. 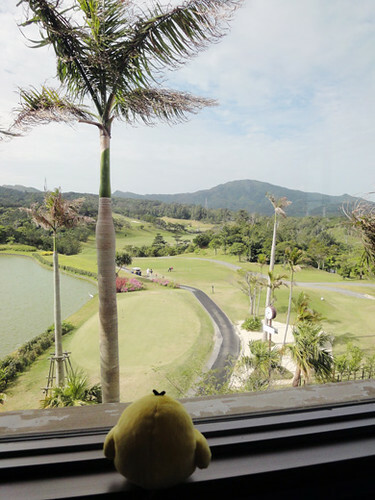 It was very good to spend a relaxed time as we watched the beautiful lawn of the golf links. 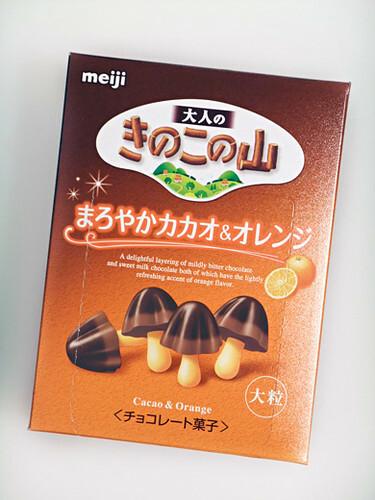 This kinoko no yama is for grown-ups. 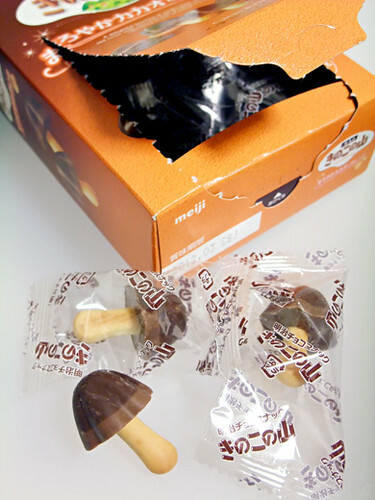 No problem for children, it uses bitter chocolate. Scent of orange is good for slightly bitter than usual. 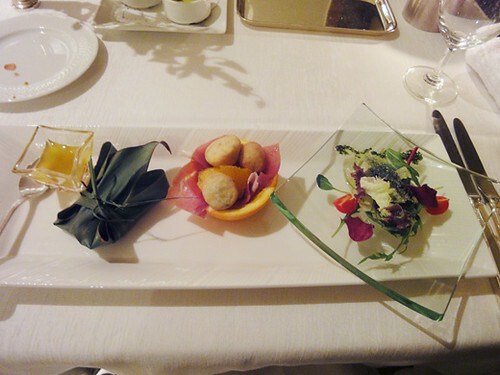 We had dinner at Fine Dining of the hotel. 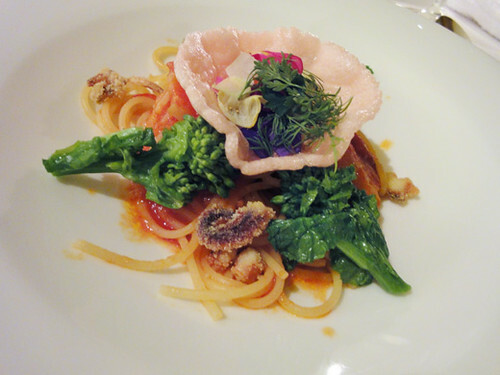 The foods of the restaurant is fused with French, Italian and Okinawa original food. 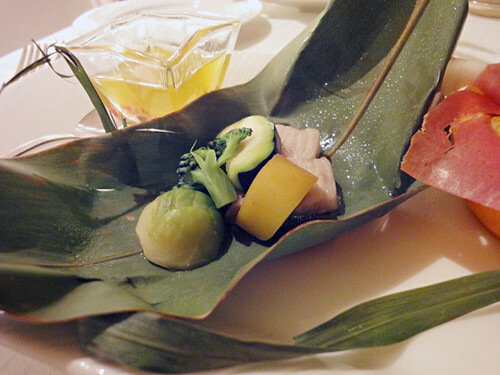 They were used Okinawa beef, seafood and the plenty of vegetables that were grown in their own garden. 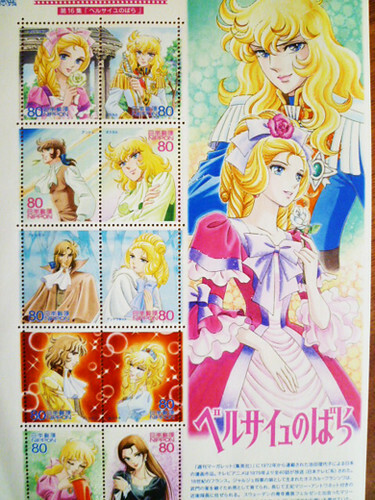 “La Rose de Versailles” is a Japan manga with a French Revolution motif. Since anime has been broadcast overseas as well, there’s definitely people who know it. 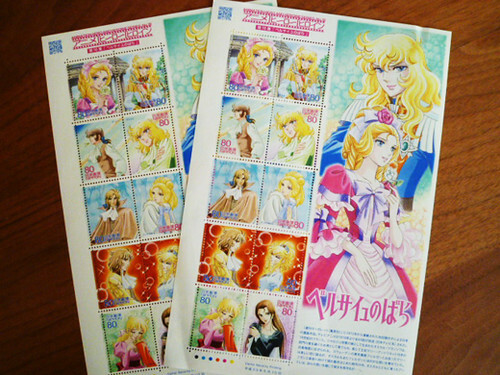 The commemorative stamp for “La Rose de Versailles” that went on sale on June 10th is totally popular. I’ve heard there are a lot of people buying them up!